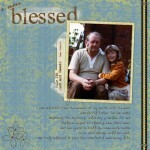 Oh, my poor neglected BLOG!! And all my lovely readers that I have also been neglecting! I’m sorry I’ve been MIA lately… I haven’t even been putting up lovelies for you to ooh and aaahh over. 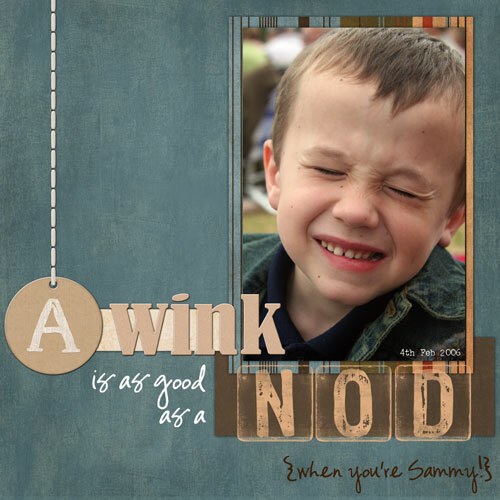 I love this photo… Sammy said “look Dad, I can wink!” and Dad was smart enough to get a photo…… (isn’t he well trained!!). I used a cool Sampler by Christie Putz called Casual Collection from ScrapArtist for the paper and the WINK alpha.Hanging A by Mandabean from Sweetshoppedesigns, N O D stamps by Meredith Fenwick from His Collection from Kim and Meredith at SBB. Fonts used are Vaguely Repulsive and Typewriter. I’ve been in a total total ALPHA mood lately. No elements, just give me good alphas. And *skip* even let me buy a couple, including this funky new Hanging one by MandaBean. 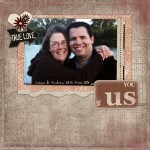 And I bought the new SweetShoppeDesigns Sampler – way cute! Now all I need to do is find some inspiration…. *looks under desk and up on top of the bookcase* Nup. Not here. 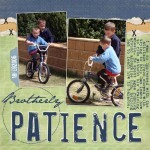 Maybe I’ll have to go do some sketch/colour/scraplift challenges to get my going. I need a new magazine or something to read to get my creative spark jumpstarted!! I’ve been waiting patiently for For Keeps to send me my copy of the current issue, with their track record I guess I’ll be waiting a while. However *skip* gave me the OK to buy a subscription with the current SM offer which works out to be just over $5.60 a magazine which is pretty good – and it’s 14 issues so I won’t have to worry about getting a new one for AGES! and the best part is? I’m IN the next 4 issues!! rofl. So of course I’d be kinda buying them anyway. Tee-hee. Oh thank goodness I was about to send out a search party! Congrats on the next 4 issues of SM I will keep an eye out for them. I might join you in a sketch/colour/scraplift challenge to inspire me too. Need ALL the help I can get. Glad you are back and I hope you are feeling better.